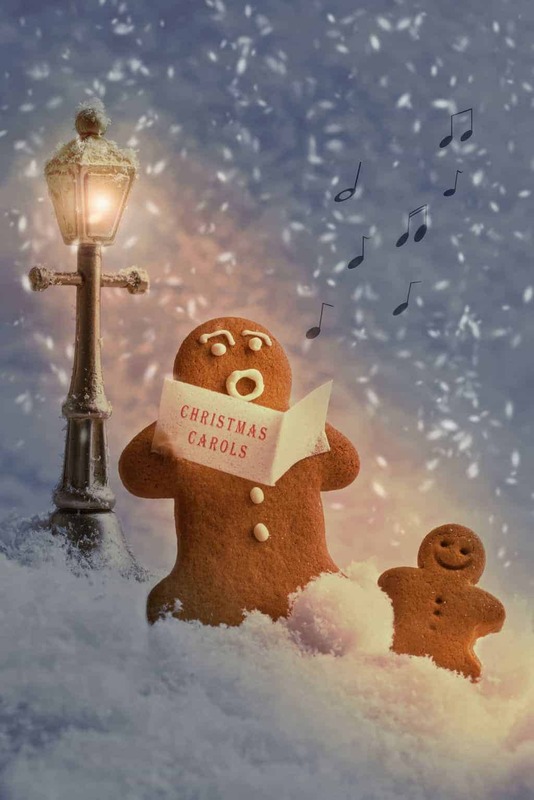 Gingerbread people songs for preschoolers through second grade. To practice rhyming and color identification our class used the following chant during our Ginger bread theme. I cut out ginger bread people of each color for the children to use. The children loved it, and the activity really helped reinforce rhyming. We also measured how many ginger bread men tall we each were and made a graph. Oh do you know the ginger bread man, the ginger bread man, the ginger bread man. OH do you know the ginger bread man who ran and ran and ran. He said “catch me if you can, if you can, if you can, He said “catch me if you can” then ran and ran and ran. I can run like the ginger bread man, the ginger bread man the ginger bread man. I can run like the ginger bread man Now catch me if you can. The ginger bread man, he’s out of the pan! And we’ll make ourselves a new gingerbread man! But this time be certain to lock the back door! Yum, yum, yum, Yum, yum, yum. In my tum, In my tum.